Our theme for 2019 will be the Golfing Through the U.S.A.! Downtown golfers begin at one of 18 businesses at noon for the shot-gun start. After making their way to all the holes, the 19th Hole Party wraps up the event, starting at 4:30 p.m. Your registration will help Dubuque Main Street support and promote downtown through economic development and a variety of free events throughout the year including the Dubuque Farmers’ Market, Dubuque… And All That Jazz! Summer Concert Series, the Fall Into Art Gallery Tour, Architecture Days, and more. Puttzin’ Around Downtown is an exciting themed mini-golf excursion in downtown Dubuque. Local businesses sponsor creative holes, and everyone has a great time. Bring Your PUTTER and some friends for a MINI GOLF ADVENTURE by visiting 18 mini-golf holes throughout downtown businesses. 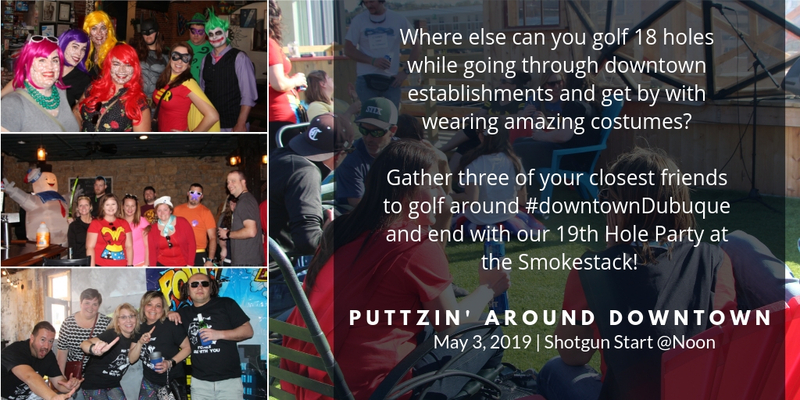 Each year features a new theme, and participating downtown businesses who build custom holes each year NEVER disappoint. 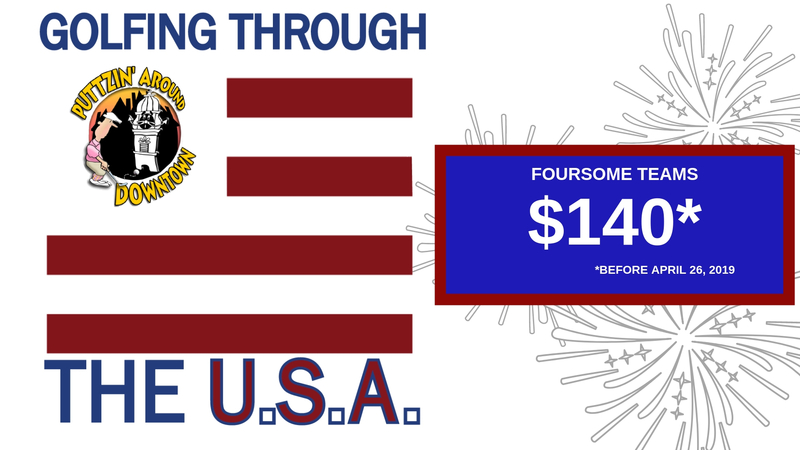 Registration is limited to 54 foursomes.